On the topic of Cathrineholm, I managed to score a full set of canisters in yellow for $50 locally which sell on ebay for around $400. Yellow and blue are the colours I decided to collect and this was the first piece (although not strictly Cathrineholm) I found! Oh wow Nikki! You have had some great scores. I’ve never even seen any except at one of my friends houses and she got hers years ago before they started getting ridic expensive. The canisters are divine. Your shelves must look amazing with all those gorgeous pieces and awesome Pyrex. Do you have a blog? A speedy customer (she got to them before me!) 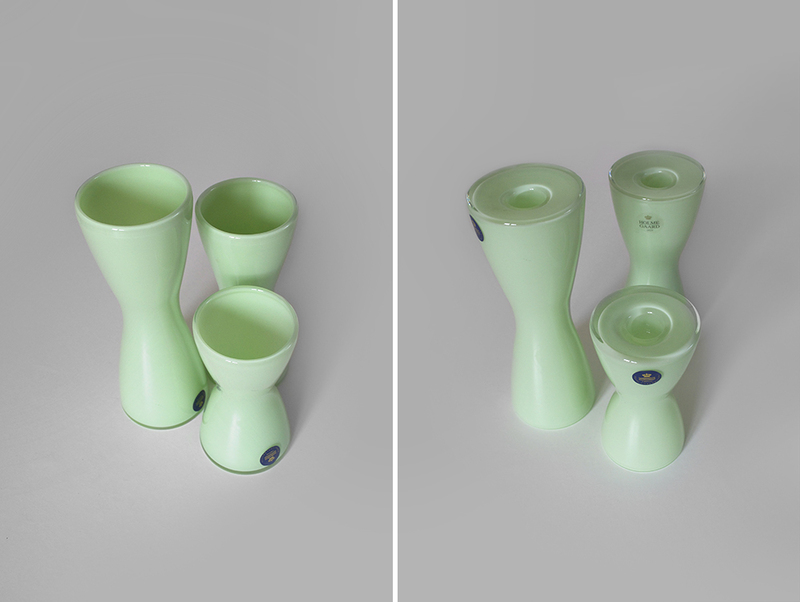 bought five Cathrineholm canisters in orange for the princely sum of six bucks, at an op-shop three or four months ago (I have tried my best to wipe the sorry experience from my mind so I can’t be sure exactly…) She had to go to the bank (it was an old-fashioned op-shop – no eftpos, AND the reason why they were so bl**dy cheap in the first place!) before she could buy them, and while she was gone I pleaded with the ladies to let me buy them if she didn’t come back, but of course she did – she was no dummy! I have three yellow canisters (a freebie from my husband’s Mum) but they are bit battered and scratched because she was using them to store nails and screws in! Really! 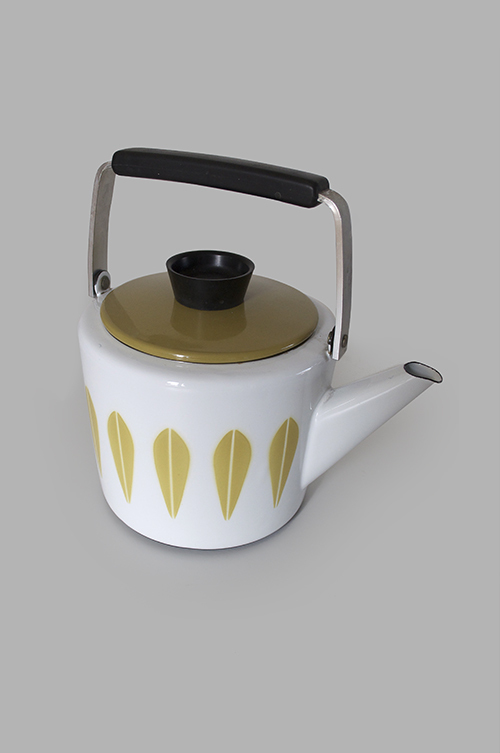 I love your teapot – or is it a kettle? Why am I loving this now, when I hated it as a kid? Prob because it reminded me of tuna casserole. Still hate TC! Hmmm I’ve never heard of the word, “daggy” but I like it 🙂 however I don’t like lamb stew either!! I didn’t realize daggy was not universal. Funny. What’s the American equivalent of tragic/lame/embarrassingly unstylish? 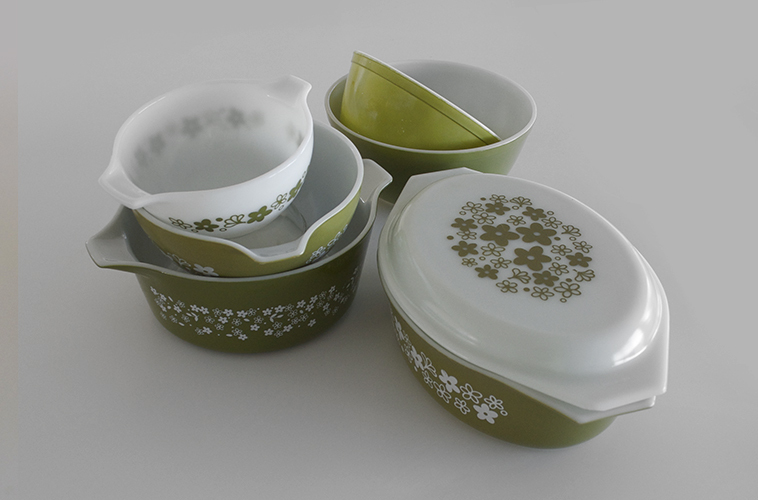 Beautiful Pyrex collection . . . minus the hated Tuna casserole. I’m particularly proud of my original Star Wars bedding set of sheet, pillow case and doona cover for $6 from Vinnies. Saving that one for my son in a few years time.